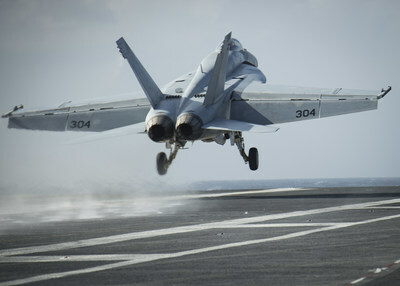 - Boeing will provide spare parts to U.S. Navy and Marine Corps depots for F/A-18 maintenance. ST. LOUIS, April 26, 2018 /PRNewswire/ -- The Defense Logistics Agency (DLA) has awarded Boeing [NYSE: BA] a five-year $427 million sole-source contract to provide and manage consumable material for F/A-18 depot maintenance with the option for five additional years. This is an extension of the DLA/Boeing Captains of Industry program and the program's first depot contract supporting the U.S. Navy and Marine Corps, bringing the value of the program to $3.2 billion.